We've redesigned our original trifold to be stitched in a 5x7 hoop. 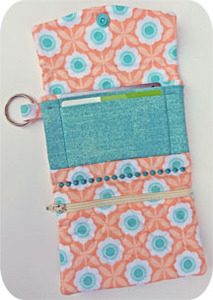 It features stipple quilting on the flap, outside and zippered pocket. There are 2 credit card slots. 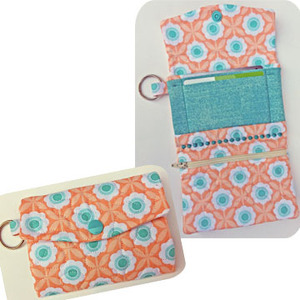 The quilted zippered pocket can hold folded cash.